Former CWI president Dave Cameron (right) and former vice-president Emmanuel Nanthan. 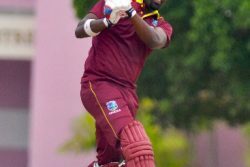 KINGSTON, Jamaica, CMC – Caribbean cricket has not seen the last of Dave Cameron, the deposed Cricket West Indies president has warned. The Jamaican, who celebrates his 48th birthday next month, was handed a stunning defeat in CWI elections at the annual general meeting here last Sunday but says he remains available to serve the region. “It’s been a remarkable journey. I have made a lot of friends, not just in the region but internationally and we will be back,” the Observer newspaper quoted him as saying. “We are here to serve [so] if people at some point in time believe that we are needed, we are here to serve and we will continue. 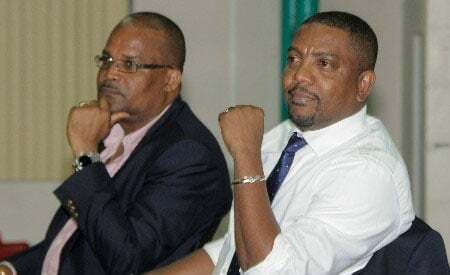 Cameron was denied a fourth straight term in charge of CWI when he lost to former St Kitts and Nevis government minister, Ricky Skerritt in a shock result. Publicly endorsed by three territorial boards – each with two votes – Cameron infamously declared days ahead of the poll that he and vice-president Emmanuel could not lose. He needed seven of the 12 votes up for grabs in order to be re-elected. However, he lost two key votes in the secret ballot as Skerritt and running mate, Dr Kishore Shallow, won by 8-4 margins. 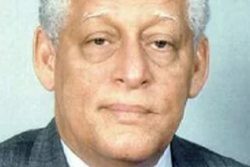 Of significance was the fact that his home board, the Jamaica Cricket Association, voted in favour of the Skerritt and Shallow, representing a crucial loss of support for Cameron. 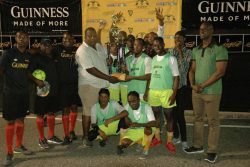 “It’s been a long-standing situation with Jamaica and myself and particularly with the president (Billy Heaven),” Cameron conceded. Cameron was criticised throughout his tenure for the strong-handed way in which he led CWI. He had a strained relationship with senior players and also fuelled acrimony with CARICOM, over his refusal to entertain governance reform. As a result, he received little backing from key stakeholders throughout the election campaign as legendary former players to regional prime ministers all threw their weighty support behind Skerritt and Shallow. Cameron said he would now focus his efforts on his company, a wealth management and investment venture. “I have my business; Infiniti Capital continues to operate, it has always been there,” he said.